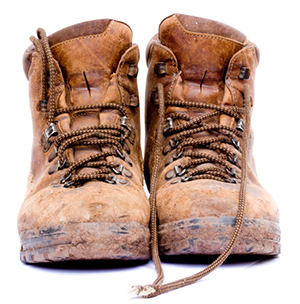 Leadership never comes from sitting behind a desk....you need to get your boots muddy and get in the field with your employees, customers, clients, vendors, and stakeholders. The more you listen the more you learn. The individual closest to the action generally knows the real story. I have been a manager for 40 years, starting with IBM and now leading a non-profit, Episcopal Community Services, in what I hope will be my last professional chapter. I have a fair amount of scar tissue, which I have come to learn is the best teacher. Leadership can be about talk and vision, but it is way more about deeds. For what it's worth, here are some of my thoughts on the subject of leadership, muddy boots and other stuff I find interesting. Thank you for your interest and I welcome your comments and exchange. Ideas and views are better when shared. Across the region, a time-honored transition is occurring. The school year is ending, and summer vacation begins. For many young adults, this is also the time for early resume building to occur in the form of a summer job, summer internship, summer camps or travel that provides exposure and experience.